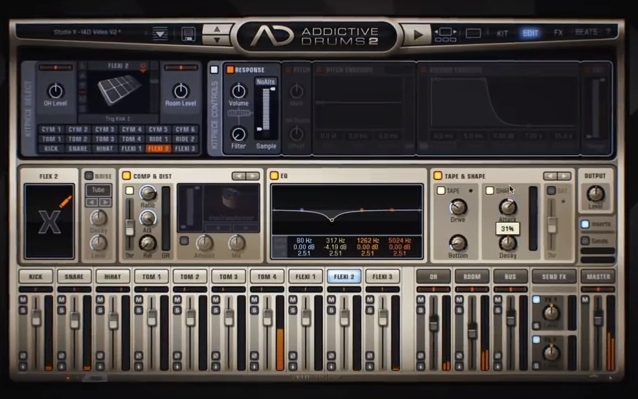 Addictive Drums 2 Artist, Virtual Drum/Percussion from XLN Audio in the Addictive Drums series. If you were already planning to purchase EZdrummer 2, you might want to wait, as XLN Audio will also upgrade Addictive Drums in May. XLN Audio opened the http://addictivedrums2.com/ website dedicated to the new version of its virtual drums which will be released on May 13th. Nothing has been detailed yet, except for many new sound-shaping features and transformation tools. XLN Audio only mentions that if you purchased Addictive Drums in March, 2014, you’ll get the v2 upgrade for free, and if you purchased your license in January or February, you’ll benefit from a 50% discount. It is confirmed that v1 projects will be compatible with Addictive Drums 2 and the AD Paks will also be updated. 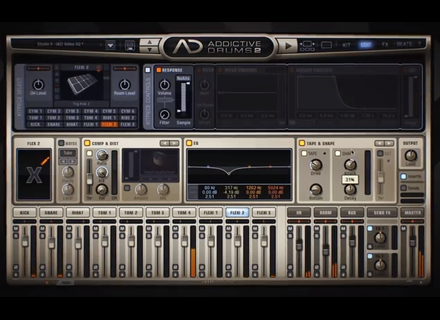 More details about Addictive Drums 2 coming soon. EastWest Steven Wilson's Ghostwriter Review EastWest's latest production, Ghostwriter, is a virtual instrument that's the result of a collaboration with Steven Wilson, a key figure in the prog and ambient music scenes in recent years. Is Wilson's name there mainly for marketing purposes, or is this joint effort a true masterpiece? The UAD Software updated to v7.6 The new version of the UAD Software released today by Universal Audio adds three new plug-ins from Chandler Limited and Brainworx. Plugin Boutique launches its 1st plug-in Plugin Boutique, Loopmasters’ partners and plug-in retailers, developed their first virtual instrument.